An Introduction to Language introduces students to the fascinating study of human language. 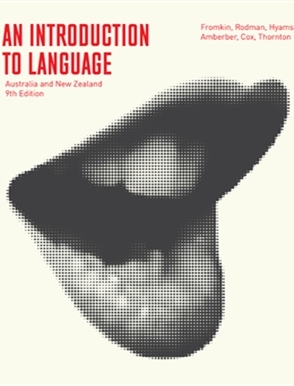 Engagingly and clearly written, it provides an overview of the key areas of linguistics from an Australian perspective. The International Phonetic Alphabet is represented by both HCE and MD versions, allowing lecturers to use whichever IPA system they prefer. The text is divided into four sections, and chapters take students through the nature of human language, the grammatical aspects and psychology of language, finishing with language and its relation to society. Chapters have also been reworked and revised to keep all syntax up-to-date and accurate. Popular features have been retained for this ninth edition including learning objectives and margin definitions in each chapter, along with summary tables inside the covers, assisting readers to learn core concepts and terminology. To supplement student learning, An Introduction to Language continues to offer the strongest resources package in the market, giving students access to CourseMate Express with interactive audio phonemes, as well as offering a new Test Bank for instructors.